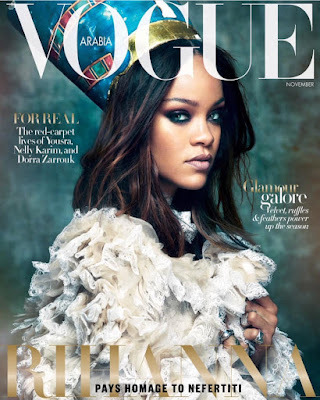 Rihanna @badgirlriri has dropped some amazingly, beautiful photos for VOGUE Arabia. The magazine drops November 1st, so if you're still in to glossies (like I am) you may want to try and cop that. Personally, I like the middle eastern influence in the head adornment and fashion styling. I also think that the soft metallic tones in the eye shadow and lip makeup are spot on. What are your thoughts? Feel free to leave a comment under the post. Beyoncé - Notable Styles Look of the Day!!! Notable Styles and More Fave Looks!! Tracee Ellis Ross for JCPenney!! Sweet Sweater Pick of the Day!! Educating Yourself on Local Education!